Today, humanity is faced with planetary crises compounded by the disconnect between modern society and nature. We posit that these crises are rooted in the lack of understanding and engagement with deeper meaning and value of place. 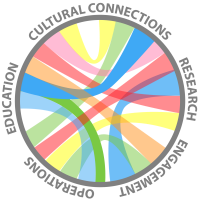 Indigenous cultures and their systems and structures offer ways of thinking, being, and doing that can restore and sustain balance. An enriched sense of place offers both symbolic and empirical dividends to the communities it serves. The vibrant Hawaiian culture that flourishes in harmony with the natural resources available to its people continues to offer a powerful and timely model for mutually beneficial relationships between human and natural systems in Hawaiʻi and the global community. Aloha ʻĀina invites innovation and creativity in our academic and scholarly enterprise to transform students and create engaged citizens who care for our people and our places in order to serve our islands and our planet. We refer to the principles of The Earth Charter which defines sustainability in all its dimensions: cultural, economic, environmental, and social. 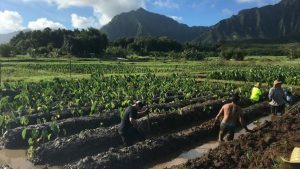 We recognize the rich foundation of indigenous Hawaiian cultural values and knowledge, and seek to learn from this foundation in order to respond to climate change and sustainability challenges. The grant will fund student research projects and a refrigeration and air conditioning technology scholarship. 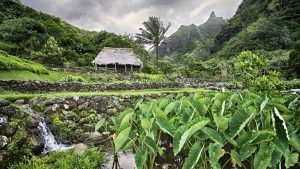 As part of the largest collection of scientific publications authored by Native Hawaiians that focuses on biocultural restoration in Hawaiʻi, an interdisciplinary research team from the University of Hawaiʻi at Mānoa, The Nature Conservancy of Hawaiʻi (TNC) and the community-based non-profit Kakoʻo ʻŌiwidemonstrated how biocultural restoration of traditional agriculture (loʻi kalo) produces healthy local food, supports vibrant communities and provides clean water to downstream coral reef and fish pond ecosystems.